A teacher has been stabbed to death in front of pupils inside a school in Leeds. Spanish teacher Ann Maguire, 61, was taken to hospital following the attack but later pronounced dead. A 15-year-old boy was detained by teaching staff at Corpus Christi Catholic College and later arrested. A pupil at the scene told the BBC that children were seen screaming and running from a classroom following the attack. At a school well regarded by the pupils milling around outside, it seems none of them can quite believe the tragic events that unfolded today. A student sits on the pavement in tears while others cautiously approach to lay the first of what is likely to be many floral tributes at the gates of Corpus Christi Catholic College in Leeds. A distraught woman stands at the roadside, inconsolable at the loss of the teacher she called a friend. 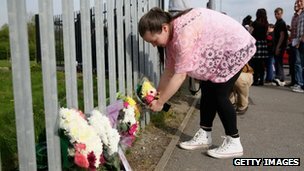 Talking to those gathered at the Neville Road school, 17-year-old Aine Arnold summed up the feeling amongst her peers. "She was lovely, I can't believe that anyone wanted to do something so horrible." Ch Supt Paul Money of West Yorkshire Police said the victim received a number of stab wounds and a knife was recovered from the scene. He said the 15-year-old pupil was detained by other teaching staff and arrested in connection with the stabbing. "The incident itself was over very quickly and no other pupils or staff were threatened or injured. However this has clearly been a very traumatic situation for those involved," Mr Money said. He said the attack was an "unprecedented event" and schools in Leeds were "generally very safe places" to work and study. Psychologist C. P. Blacker called for a strategy of "crypto-eugenics," saying "you seek to fulfill the aims of eugenics without disclosing what you are really aiming at and without mentioning the word." Blacker was appointed by Margaret Sanger to be first director general of the International Planned Parenthood Federation. The U.S. State Department is condemning the reported abduction of an international observer team and its Ukrainian escorts by armed gunmen in the town of Slovyansk. Pro-Russian separatists say the group was detained because a Ukrainian military official was traveling with them. 'They are with us in Slovyansk,' Vyacheslav Ponomaryov, a pro-Russian separatist leader, told Reuters. The U.S. Embassy in Afghanistan confirmed Thursday that three American doctors — including a father and son — were killed by an Afghan security guard who opened fire at a Kabul hospital. One of the doctors has been identified as Dr. Jerry Umanos, who practiced pediatric medicine at Lawndale Christian Health Center in Chicago, officials from the center said. Dalil said an American nurse also was wounded in the attack. The alleged attacker was a member of the Afghan Public Protection Force assigned to guard the hospital, according to District Police Chief Hafiz Khan. He said the man’s motive was not yet clear. The attacker had emerged from surgery in the afternoon and was in recovery at Cure International before being questioned, Dalil added. The Afghan capital has seen a spate of attacks on foreign civilians in 2014, a worrying new trend as the U.S.-led military coalition prepares to withdraw most troops by the end of the year. It was unclear whether the Taliban were behind Thursday’s shooting, though the insurgents have claimed several major attacks that killed foreign civilians this year, an escalation after years of mostly targeting foreign military personnel and Afghan security forces…. South Dakota State University’s Hillel affiliate, B’rith Sholom is more than the only Jewish cultural club in the entire state; its nine members constitute a unique diversity among America’s Jewish organizations, since about half of them identify as Messianic Jews, or those who engage in Jewish practices and accept Jesus as the Messiah. Messianic Jews have historically been excluded from nearly every Jewish denomination and institution, even the most inclusive. Yet B’rith Sholom insists on its policy that all should be welcome. Hanna readily accepted the challenges of living an observant life in Brookings, S.D. But he missed having a Jewish community. And a search for other Jews led him to Minneapolis-St. Paul, Minn. native Rachel Hunt, with whom he formed B’rith Sholom. Hanna assumed the role of president. The people of war-torn Sudan learned long ago to take cover when planes roared overhead, but the latest tactic being used on them -- parachute bombs -- is raining silent death down on innocent villagers, say alarmed activists. The country’s extremist Islamic regime in Khartoum has stepped up the practice in the Nuba Mountains, dropping deadly bombs by parachute from high altitudes as president and accused international war criminal Omar al-Bashir seeks to rout rebel forces opposed to his brand of radical Islam. In recent years, the Nuba Mountains, where Christians and Muslims live side by side, have become a battleground for the forces of al-Bashir's forces and the Sudanese People Liberation Army. Caught in the crossfire are innocent civilians, especially children, who live in the mountainous region just north of the border of Sudan and South Sudan, the nation carved out of Sudan in 2011. "Children living in the Nuba Mountains grew up amid almost daily aerial bombardment,” Akshaya Kumar, a Sudan and South Sudan policy analyst with the Center for American Progress, told FoxNews.com. “They have learned how to quickly duck into makeshift bomb shelters when they hear a bomb dropping. "Now, in a brutal shift in tactics, the Sudanese government has refined its assault," she continued. "With parachute bombs, the bombs drop silently and then only explode after a delay, when those sheltering emerge from safety." The Obama administration is sending ground troops to Poland in response to Russia's moves in Ukraine, Poland’s defense minister, Tomasz Siemoniak, tells The Washington Post. The move, he said, was agreed to as part of an expansion of the NATO presence in the region. The New York Times, meanwhile, said the troops would participate in small exercises in Estonia as well as Poland. The Poland exercise, which is to be announced next week, involves one U.S. Army company — about 150 soldiers — and would last about two weeks. The Estonia exercise is similar, said a Western official who declined to be identified, the Times reports. That’s not news, except to those people who haven’t been paying attention. How long ago did we actually exercise our right to disagree with facility and reason, in this representative republic, this exercise in democracy? And especially, with dignity? Voltaire allegedly said "I disapprove of what you say, but I will defend to the death your right to say it.” Though he did not, his biographer did. But it’s a noble sentiment. So about the concept and reality of dignity, let’s look at what’s happened lately in the cultural meltdown over social moral issues, or anything that even refers to the word ‘moral.’ Fires ignite. Flamethrowers start lighting their torches. That’s bad enough. But one of the disturbing things among many, is that we’ve lost the meaning of words in the first place, so what’s moral isn’t sometimes what’s legal, and vice versa. Which leads inevitably to the throwdown challenge, who decides. As if there’s no reference point. As if it’s a matter of consensus maybe? Because that’s what drives our culture. Just as the Little Sisters of the Poor lawsuit put the spotlight on government encroachment on religious liberty, the meltdown that put white hot light on the decline of our civilization is the whole Brendan Eich/Mozilla affair over the issue of gay marriage. This need not have happened this way. War is chaos, death, and destruction. It takes the lives of innocents and guilty alike and wreaks environmental havoc than can take nature centuries to repair. War and the threat of war are realities that we live with daily, even in our modern world. Wars have freed people and wars have enslaved people. Citing Michael Gelven and Carl von Clausewitz, Brian Orend, prominent contemporary Just War theorist, states that “War should be understood as an actual, widespread and deliberate armed conflict between political communities, motivated by a sharp disagreement over governance.” It is only logical to assume that man would attempt to understand the nature of war and to reconcile the seeming conflict between religion’s New Testament pacifistic views and the reality in which we live. Can a Christian be a soldier? Can war ever be justified? Philosophers and theologians have been debating questions such as these for centuries. After all, according to the Bible the first war was in Heaven when Lucifer and his angels were cast out. The three main perspectives regarding the ethics of war are Realism, Pacifism, and Just War Theory. Realists disregard the concept that war should involve ideas of morals and ethics. Warfare is motivated by power and national security and includes no room for an appeal for morality. The state should do whatever is necessary to win. However, some Realists do grant that there should be an agreement that limits the destructiveness that accompanies war because of economic reasons. Pacifism has been described as “anti-war-ism” by Jenny Teichman in her book Pacifism and the Just War. They reject war in favor of peace and view war as always wrong. Many argue that a Pacifist’s worldview is unattainable, at least in our foreseeable future. Others say that it rewards aggression and fails to protect the people. Pacifists, however, contend that all acts of aggression can be countered with non-violent resistance and economic sanctions. Just War Theory is the most widely held view. It deals with the justification of why, how, and by whom wars are fought and attempts to develop a set of conventions that can be mutually agreed upon by two warring peoples. Its beginnings can be traced to Cicero, Aristotle, Augustine of Hippo, and Thomas Aquinas among others, however, many credit Christian theologian Augustine with the founding of Just War Theory citing his comments on the morality of war from a Christian perspective. Augustine agreed with Aristotle that the goal of a just war was peace, adding that it should be motivated by love, not violence, greed, or a desire for power. His views concerning a just war were an attempt to provide a basis whereby a Christian could cope with the difficulties and imperfections of the earthly life. He tried to provide a mechanism by which a just man could maintain his faith and still be a good citizen of the state. In Augustine’s view, war is a part of human existence. If it was motivated by charity and the prevention of injustice, it was permitted by God. If it was allowed by God then war, in and of itself, must not be evil. 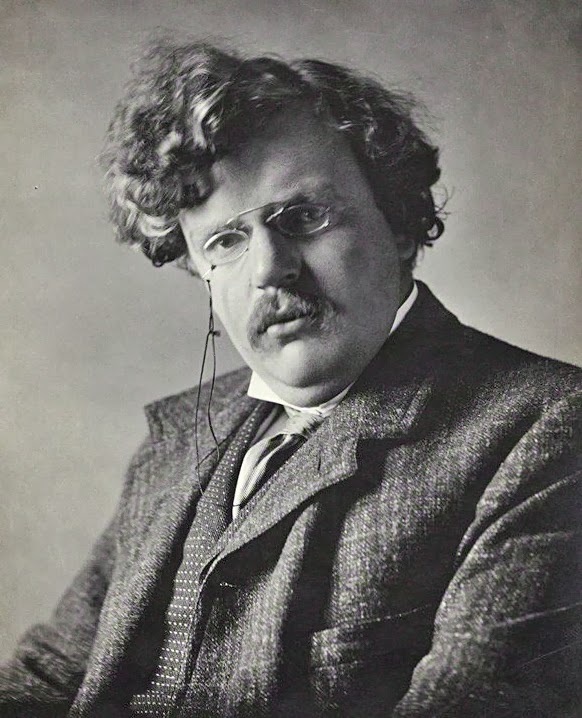 He combined the Roman and Christian values associated with war by connecting the legitimacy of war, as it pertains to national policy, and a good citizen’s duty to his sovereign and state. He put forth three guiding principles that he saw as necessary for a just war: it can only be declared by a legitimate authority, it must be waged for a just cause, and it must have right intentions. In the 13th century, Thomas Aquinas took Augustine’s comments and developed what was to become the Just War Theory. His most important contribution was the combining and methodical presentation of previously diverse insights from Augustine and others into a cohesive exposition in his Summa Theologicae. In it he discussed not only the justification of war but also activities that are permissible for Christians in war. Aquinas posed this question, “Whether it is always sinful to wage war?” In his answer, he depended heavily on Augustine’s original three principles to support his conclusions: legitimate authority, just cause, and right intent. His final systematic outline was eventually the basis for what became the two main divisions of jus ad bellum, the right to go to war, and jus in bello, right conduct during war. Jus ad bellum includes the following: it must be waged by a legitimate authority, it must be waged for a just cause, it must be a last resort, there must be a formal declaration of war, there must be a reasonable prospect of success, and there must be a right intent. Firstly, Aquinas agreed with Augustine that “legitimate authority” meant those who hold supreme authority and who are charged with protecting the people. According to Augustine in Contra Faustum, “the natural order which seeks the peace of mankind, ordains that the monarch should have the power of undertaking war if he thinks it advisable.” In Aquinas’ time, supreme authority would mean the sovereign and their appointed officials. Only those individuals or states could legitimately declare war, “as the care of the common weal is committed to those who are in authority, it is their business to watch over the common weal of the city”. Private individuals or soldiers acting on their own could not declare war. Thirdly, it must be a “last resort”. Resorting to war when there is still the possibility of a peaceful solution between the parties is not reasonable and is morally wrong. All other forms of resolving disputed issues peacefully should be exhausted before declaring war. The damage done during war to both sides of a confrontation make it what should be viewed as a final option. Augustine warned Christians to guard against developing a love of violence; it could make them fail to give full consideration to a peaceful alternative to war. A “formal declaration” of war must be made. This is sometimes combined with the “legitimate authority” requirement. It requires that the intention to go to war must be made public to not only the enemy state but also to the citizens of its own state. Many times this gives innocent civilians the chance to leave the areas where the war would be fought. In medieval times, they would have been able to seek protection from their prince or sovereign. We see examples today of refugees fleeing war torn areas such as Syria and Darfur. If there is no “reasonable prospect of success”, it would be unethical to go to war knowing that many lives would be wasted in a gesture that would not change anything. There must a reasonable hope of achieving the intended good. In a war where the bad effects outweigh the good effects, the criteria of reasonable prospect of success would not be met. Lastly, jus ad bellum involves the condition of “right intent”. A state must intend to fight a war for the sake of its “just cause” and not for any ulterior motive, such as land acquisition, genocide, seeking power, etc. These would not be considered “just cause”, are not permissible, and would be judged immoral. War must be waged to administer justice and restore peace. If a war is undertaken for the wrong motives, God will know their true purpose and punish them accordingly. In regards to modern day International Law, ulterior motives are difficult to determine due to the difficulty in obtaining evidence proving intent. According to Social Ethics: Morality and Social Policy, in Jus in bello, conduct permissible during war, two principles are central in determining what types of action are morally permissible in warfare: proportionality and discrimination. Proportionality refers to the level of force used. It must be in proportion to the good the action is intended to achieve. There must be an estimation that the universal good will outweigh the universal bad (for both sides in the conflict) for the war to be “just.” Even if the cause of the war is just, using excessive means such as destroying a whole town and everyone in it or salting wells and land making it unusable for decades would not be ethical. Modern prohibitions, according to international laws, include the use of chemical and biological weapons. Discrimination during war is understood to prohibit the intentional killing of innocent civilians. Soldiers are only entitled to use their weapons against legitimate military targets. According to Walzer, this means those that are “engaged in harm”. This principle specifies “intentional” killing of innocents as prohibited, but there are sometimes “unavoidable civilian deaths” especially with the advent of modern warfare. Relying on Aquinas’ Doctrine of Double Effect, designed to evaluate actions that have both good and bad aspects, civilian casualties are justifiable “if their deaths, although foreseeable, are not intended”. The view that collateral damage is permissible is widespread. Others view it as “reckless disregard” or “gross negligence”. Brian Orend in his article, War, states that it is “worth noting that all wars since 1900 have featured larger civilian, than military, casualties.” It is largely the principle of discrimination that is looked to when condemning terrorism as immoral. Terrorism is generally acknowledged to include the targeting of innocent civilians. In Just and Unjust War, Walzer defines terrorism as a “method of random murder of innocent people”. Rules of war, such as the Just War Theory, are generally only reliable between enemies who share cultural values such as a high regard for life and human dignity. These shared values make it easier to agree on and abide by limits to warfare. When the two sides differ dramatically because of religious beliefs, language, or race, they may see each other as “less than human”. This perception of inequality is rarely conducive to the atmosphere necessary to promote agreement on war conventions. Just War Theory is man’s attempt to regulate an inclination toward aggression and destruction by imposing rules of “morality and ethics” aimed at maintaining a peaceful coexistence. It continues to evolve to accommodate the changing times and the evolutionary development of warfare. Orend offers a comprehensive outline of a third element, jus post bellum, just principles of combatants after the war. It deals with the “transition from war back to peace”. Some argue that weapons of mass destruction render Just War Theory obsolete and requires a different approach, but others maintain that they are still weapons and as such should be held to the same ethical standards. More recently, cyber war has become a topic of discussion. Can Just War Theory be adapted to deal with cyber terrorists? War is a complex issue, but the principles in Just War Theory are a worthy starting place. For the present, as Augustine conceded, man, especially Christian man, is left with the question of how to live in a world that is full of war. DeCosse, D. E. (n.d). The just war revisited/Arguing about war. Theological studies, 66(3), 691-692. Retrieved from Literary Reference Center, EBSCOhost. Mappes, T. A., Zembaty, J. S. & DeGrazia, D. (2012). Social ethics: Morality and social policy (8th ed., pp. 340-351). New York: McGraw-Hill. O’Donovan, O. (2003). The just war revisited (eBook, pp. 1-64). Available from eBook Collection, EBSCOhost. Once again, a major advance in stem cell science has been tainted by allegations of fraud. A leading research centre in Japan, the RIKEN Institute, has apologised for “research misconduct” by a young scientist who published a paper in Nature in January which described an exciting new method for producing pluripotent stem cells. The ease of the method astonished stem cell biologists, but no one was able to replicate the results and careful scrutiny of the paper soon revealed some troubling problems. It revived painful memories of the notorious Hwang Woo-suk and the fraudulent stem cell papers he published in 2005 in the journal Science. Haruko Obokata now stands accused of misusing images to support the creation of what she and her colleagues termed “stimulus-triggered activation of pluripotency” (STAP) cells. She admits that there were mistakes in her paper, but denies the charges of misconduct. She also insists that the method does work. A six-member committee set up by the RIKEN Institute was asked to investigate six errors in the paper. Four were found to be innocent mistakes, but two were branded “misconduct”. “Dr Obokata’s actions and sloppy data management lead us to the conclusion that she sorely lacks, not only a sense of research ethics, but also integrity and humility as a scientific researcher,” was their brutal conclusion. Nature is conducting its own investigation. The president of RIKEN, Nobel laureate Ryoji Noyori, issued an apology both for Obokata’s alleged misconduct and for the carelessness of her co-authors. If the misconduct is confirmed after the appeals process, he said that the paper should be retracted and that the authors would be disciplined. Harvard researcher Dr Charles A. Vacanti was also a co-author. He maintains that his version of the STAP process works. “While the investigation determined there were errors and poor judgment in the development of the manuscript, I do not believe that these errors affect the scientific content or the conclusions,” he told the Boston Globe. Sperm/Egg Donor Anonymity Ban Unethical? Donor conception is often shrouded in secrecy. At age 7, only about half of children know that they were conceived with donor eggs; the figure for donor sperm is only about one-quarter. Legislation forcing IVF clinics to give access to the identity of the donors is spreading. In Sweden, Austria, the Australian state of Victoria, Switzerland, The Netherlands, Norway, the United Kingdom, New Zealand, anonymous donation has been banned. But is this necessary? Writing in The Hastings Center Report, bioethicist Inmaculada De Melo-Martín says No. There is no desperate need for children to connect with their genetic parents. In fact, she says, a policy of non-anonymity may even be socially harmful. She attacks supporters of the right to genetic information on three counts. Furthermore, mandating non-anonymity could be socially harmful. People who do not know their genetic parents could be stigmatised. Such a policy could promote “genetic essentialism”, the controversial notion that we are determined by our genes. Worst of all, perhaps, says Melo-Martín, “Emphasizing the importance of genetic relationships might also encourage problematic beliefs about the superiority of biological families”. Non-biological families formed by gay and lesbian couples could be treated as “pathological deviations”. Further Russian intervention in Ukraine, following its annexation of Crimea, would be a "historic mistake" that would deepen Russia's international isolation, NATO Secretary-General Anders Fogh Rasmussen said on Wednesday. "If Russia were to intervene further in Ukraine, I wouldn't hesitate to call it an historic mistake. That would lead to further international isolation of Russia. It would have far reaching consequences for the relations between Russia and ... the Western world. It would be a miscalculation with huge strategic implications," he told a news conference after a meeting of alliance foreign ministers. Russia has massed all the forces it needs on Ukraine's border if it were to decide to carry out an "incursion" into the country and it could achieve its objective 'in three to five days,' NATO's top military commander said on Wednesday. "This is a very large and very capable and very ready force," said NATO's supreme allied commander in Europe, U.S. Air Force General Philip Breedlove, referring to the presence of an estimated 40,000 Russian troops on Ukraine's border. Breedlove made his remarks an interview with Reuters and The Wall Street Journal.